Alec Baldwin will return as host of “Saturday Night Live” this weekend for a record 17th time, not including his regular appearances on the show as Donald Trump. In a new promo for his upcoming episode, Baldwin returns to Studio 8H to drolly reflect on past hosting gigs, from his “Schweddy Balls” skit to playing Tony Bennett. 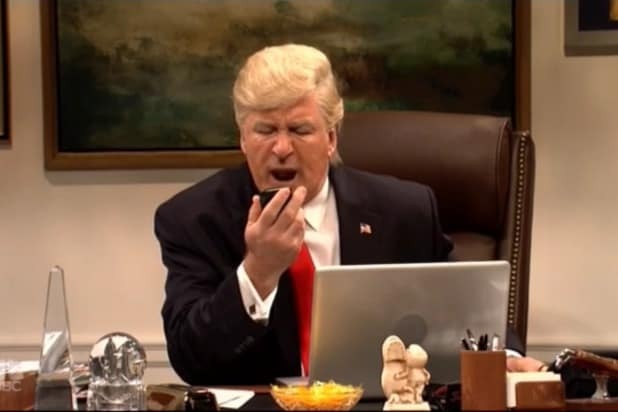 The real question is, though, what new Trump sketch will Baldwin break out this week? And will he be joined by any special guests, like Melissa McCarthy and her incredible Sean Spicer impersonation?